Depending on who you listen to, Scottish Football doesn’t have a lot to offer in the modern world of the beautiful game, but we have an entirely different thought process and for the second week in succession, our Supremo currently plies his trade North of the border. 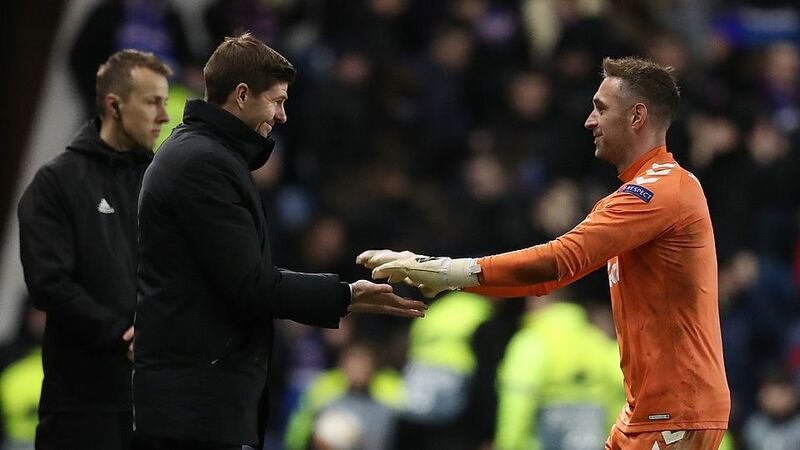 Rangers goalkeeper, Allan McGregor has had a wonderful return to Ibrox and some of the performances and saves he’s produced at crucial times this season have been absolutely breath taking. The old adage of keepers improving with age and playing well into their late thirties is proving to be correct where the Rangers stopper is concerned, but you can’t help but wonder what the transfer market would be saying if he was 26 instead of 36. The Gers have shown every quality a good team needs throughout their Europa League run so far and much of that is down to the fact that the last line of defence is in the form of his life and showing no signs of letting up. Right from the first qualifying round against Shkupi, through Osijek, Maribor and Ufa, McGregor has pulled off world class saves at critical points in the ties to help his team through to the group stages and just when you wonder if the step up in opposition might catch up with the Peter Pan of Scottish Football, he goes up a level himself and continues to impress. Down to ten men after Daniel Candeias’ bizarre first half red card, it looked like taking anything from the game was going to be impossible against Villareal last night (Thursday 29-11-18) but two outstanding saves to deny Karl Toko Ekambi took the sting out of the more than useful ‘Submarino Amarillos’ and paved the way for a memorable night at Ibrox, that sets the final game against Rapid Vienna up perfectly. McGregor made his Rangers debut in February of 2002, against Forfar in a Scottish Cup match, but with a couple of loan moves to St Johnstone and Dunfermline in between, it wasn’t until the start of the 2006/07 season that he became a regular at Ibrox. In his first spell he amassed more than 200 appearances, winning 11 major honours in that time. 3 Scottish Cups, 5 League Cups and a hat-trick of league Championships from 2008 to 2011. With the club hitting the skids off the pitch, the popular goalie moved to Turkish giants Besiktas in 2012 and later joined Hull City after only one season abroad. An FA Cup run to the final and subsequent loss to Arsenal in 2014 was the highlight of his time in Yorkshire but making 141 appearances for the Tigers is no mean feat and after a short spell at Cardiff, Ibrox came calling again and in this week’s Sports 360 Supremo, Steven Gerrard made his best signing to date.